/Mailing Service /Can I order Mailing Service for only some of my cards? Yes, you can select the number of cards you want us to mail for you, and we will ship you any remaining cards or envelopes. This is referred to as partial mailing service, and is a pretty common request. Regular shipping costs and times apply. We will mail your cards to you either before or at the time of mailing your individual cards to your recipients. 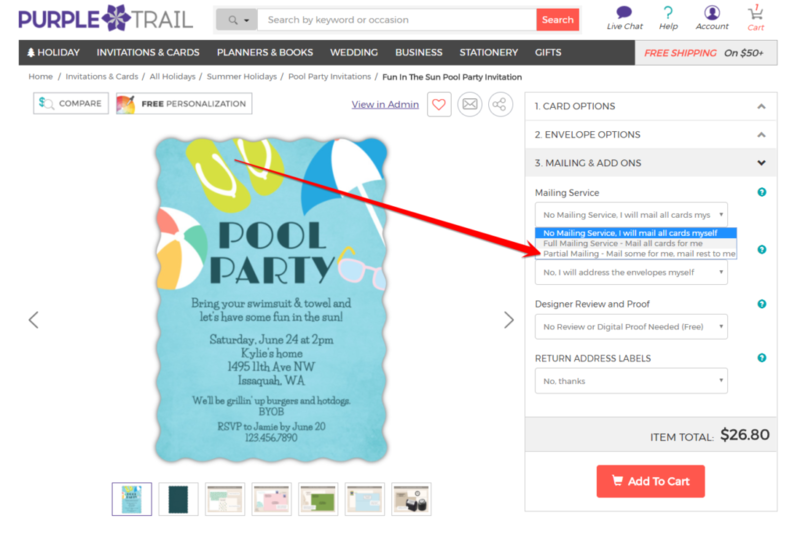 You’ll find all options for mailing under the Mailing and Add-ons pane on any card detail page. Once you have added your recipient addresses, we’ll print them on your envelopes and post the cards for you. You will still be able to choose the shipping method for the cards that we are mailing direct to you.